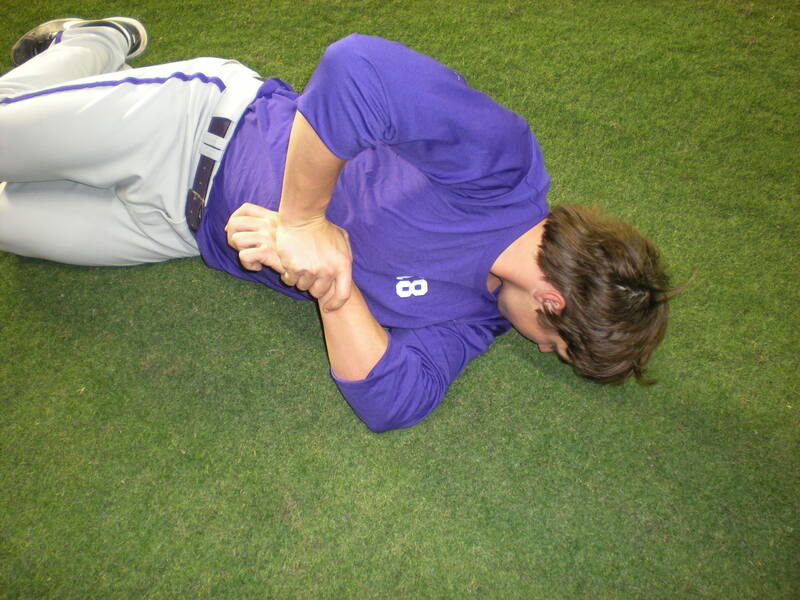 Many of the athletes associated with throwing sports have experience with the sleeper stretch. The sleeper stretch is for those with glenohumeral internal rotation deficits commonly known as GIRD. This problem occurs most often in overhead throwing athletes. Every time an athlete throws a ball there are huge distraction forces that occur at the release of the ball. This repetitive stress causes the posterior capsule of the shoulder to tighten and a loss of internal rotation occurs. When this deficit becomes too large the risk of injury increases. Eliminating this deficit is very important when we do find one. Properly teaching the sleeper stretch is by far the most important aspect. Too many athletes perform the stretch incorrectly. The most important aspect of correctly performing the sleeper stretch is making sure the scapulae are retracted and depressed throughout the movement. Stabilizing the shoulder blades allows for the stretch on the external rotators. Without keeping tight, the stretch becomes ineffective and can actually cause problems a host of other problems to the shoulder capsule. From that stabilized position we roll up onto the shoulder making sure to keep the scaps drawn back and down. Keeping the scaps stabilized means we need to keep the shoulders stacked on top of each other when we roll on to the shoulder. When the shoulders don’t stay stacked and we have an angled slope from our top shoulder down to the bottom, the scapula isn’t stabilized. This should be a relatively light stretch and not to the point that it causes pain. With this setup placing a foam roller under the head would be ideal. Many times athletes won’t always have access to a foam roller to keep the cervical spine in a neutral position. 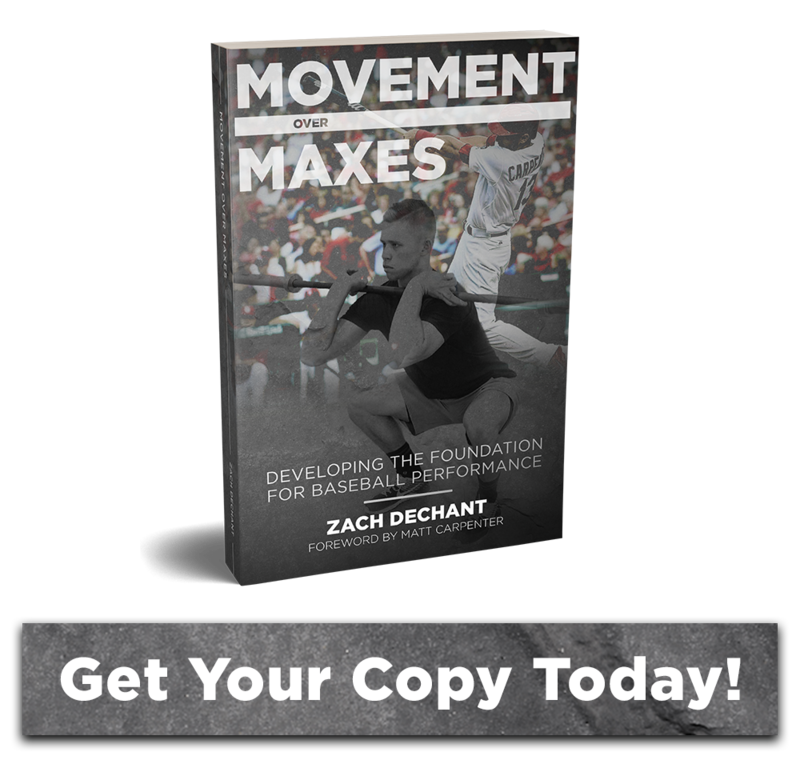 Athletes should take note of when they’re doing the stretch wrong because they shouldn’t be able to get anywhere close to the ground with the forearm. Most athletes won’t get to a 45 degree angle even. If you’re athletes can get to the ground, check their scaps. The range of motion is gained through the moving scapula. Here’s a quick example of not keeping the scaps retracted and depressed with the shoulders stacked. You’ll notice the angle from the top shoulder to the bottom. Also, take note that the posterior aspect of the shoulder is coming off the ground. That’s a sure sign that the scapula is moving. In this picture it appears that this person has a good degree of internal rotation. Remember, I said most athletes won’t even get to 45 deg. in this stretch. He really doesn’t have as much motion as it appears. If he were to stabilize his scaps he would have considerably less motion. The scapula compensates for lack of motion giving the appearance of a big stretch.